Of the dozen entries--available for viewing here--the image embedded above, created by an artist who signs himself only as “hASEROT,” ultimately received the greatest number of votes from MI6 readers. However, I found the most remarkable submission to be another cover altogether. 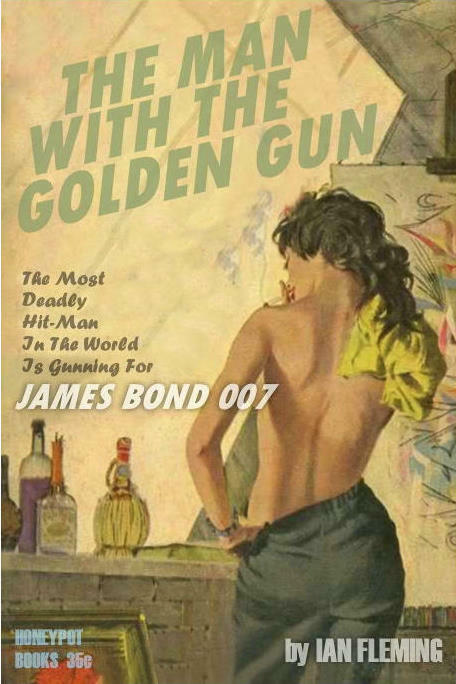 In the pair of fronts displayed below, the one on the left was among the three runners-up in MI6’s Man with the Golden Gun contest, submitted by artist “Gaz1961.” However, the cover on the right, from which Gaz1961 obviously took his Golden Gun illustration, comes from a 1960 novel called North Beach Girl, credited to “John Trinian,” a pseudonym used by TV and film writer Zekial Marko, who died in the spring of 2008 and was the brother of novelist Kenn Davis (1932-2010). Credit for the North Beach Girl illustration has been given to renowned paperback artist Robert McGinnis, but there’s no signature that I see on either the novel’s front or back. The fact that Gaz1961, well, “borrowed” such familiar artwork for his Bond front doesn’t diminish his efforts. It’s just interesting to recognize the source. 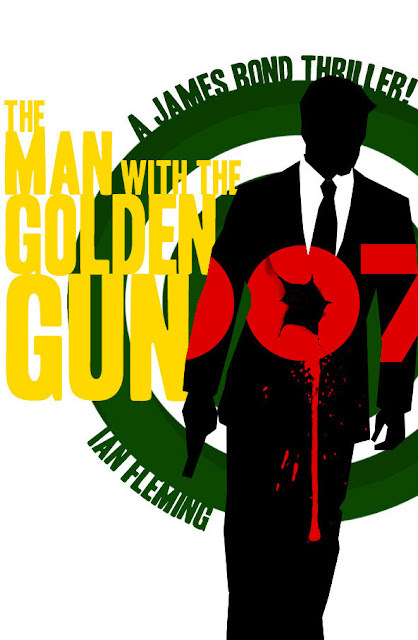 MI6 is now challenging artists and designers to come up a fresh cover for Fleming’s 1954 Bond novel, Live and Let Die. You’ll find entry details, along with some early submissions, here. 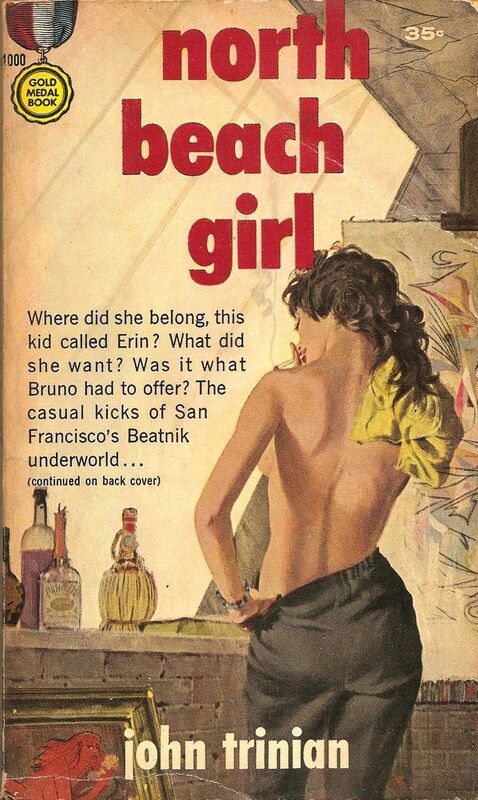 I had a look at a copy of NORTH BEACH GIRL today. There is no indication of cover artist anywhere in the book. But, it is listed in the index of THE PAPERBACK COVERS OF ROBERT MCGINNIS (Pond Press, 2001), so that should settle that one. This is an interesting McGinnis cover, in that you can neither the model's face nor her legs. Thanks for confirming the McGinnis credit for that artwork, Randal. I didn't realize John Trinian was Zekial Marko - he must've written quite a few Gold Medals then!